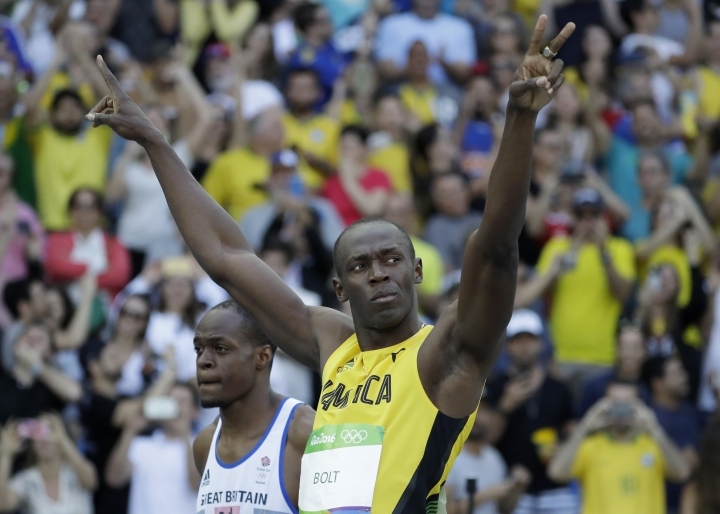 RIO DE JANEIRO — Usain Bolt finally got his party started at the Olympics on Saturday. He put his finger to his lips to ask for quiet at the starting block, rubbed his closely shaved head, crouched down for the start, then grinded through an opening round in the 100 that was routine as making the bed. "It's always to win," he said. "That's what I'm here for." He did just that in a first-round heat that was, typically, entertaining, given the low-pressure semi-sprint that it was. The two-time defending gold medalist got his customary slow start and lumbered out of the blocks — seventh out of eight in his heat. He trailed heading into the final 25 meters, then glanced to his left and measured up Andrew Fisher, a Jamaican who competes for Bahrain and was a body length ahead of him, three lanes over. Not a problem. Bolt put it into third gear — he's got more for later — and cruised past Fisher to win the heat in 10.07 seconds. Fisher also made it through to the semifinals, and was anything but upset. "You know that when you're in line with him, you're in front of others," Fisher said. Typical of an opening day in the 100, there were no real surprises. Justin Gatlin, considered the biggest threat to derail Bolt's quest for nine total Olympic golds, won his heat easily and finished with the day's best time, 10.01 seconds. 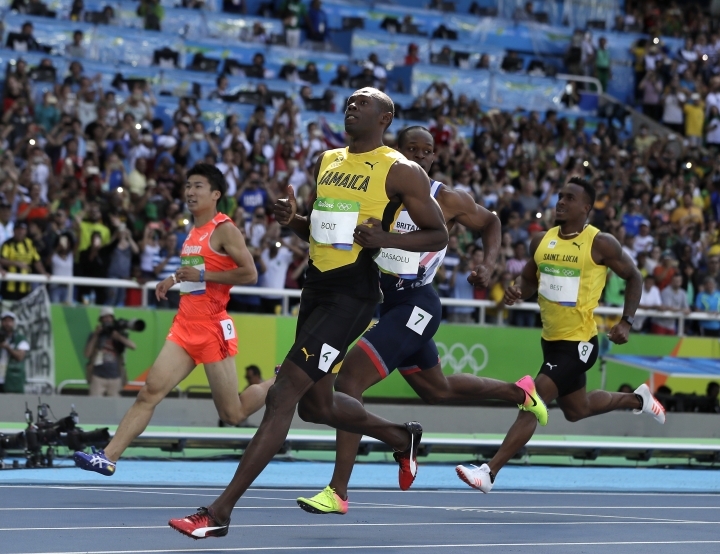 "Went out there and executed my race in the first round," the American sprinter said. "Cruised to the finish line." Bolt's Jamaican buddy, Yohan Blake, made it through easily, as did Americans Marvin Bracy and Trayvon Bromell and Frenchman Christophe Lemaitre. "There's going to be some stacked semifinals, but it's good," Bolt said of the three races that precede Sunday night's main event. "It gets you running and gets you up to speed to go out and run the final." 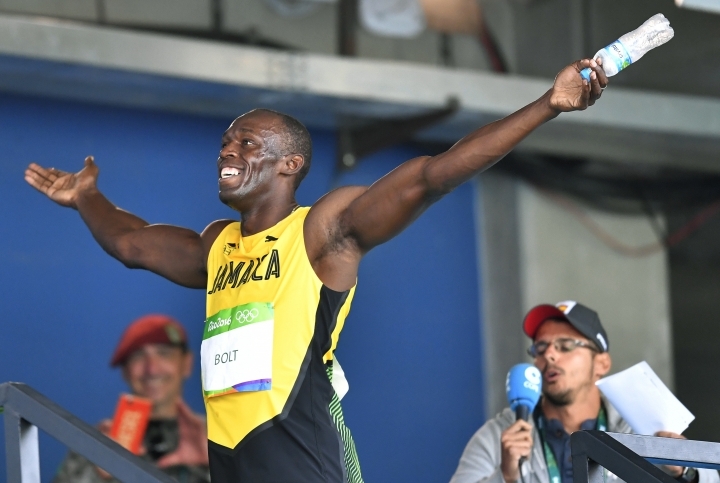 Bolt is a 1-2 favorite to take his unprecedented third straight Olympic title in the 100. His chances of doing that would seem to have as much to do with his own health as they do with Gatlin or anyone else lining up against him. 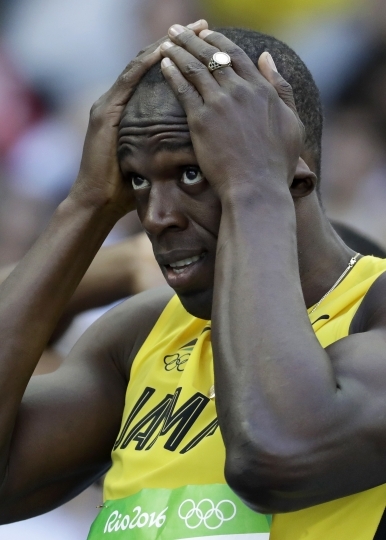 Bolt pulled out of his national championships last month with a sore hamstring. Though earlier in the week he conceded he wished he'd had more real races under his belt this year, on Saturday he said he's in good form. "I felt OK. It wasn't the best start. Felt kind of sluggish. It's the fact that it's the morning," said Bolt, who was called to the line at 12:42 p.m. "I'm not used to running this early at any championship." 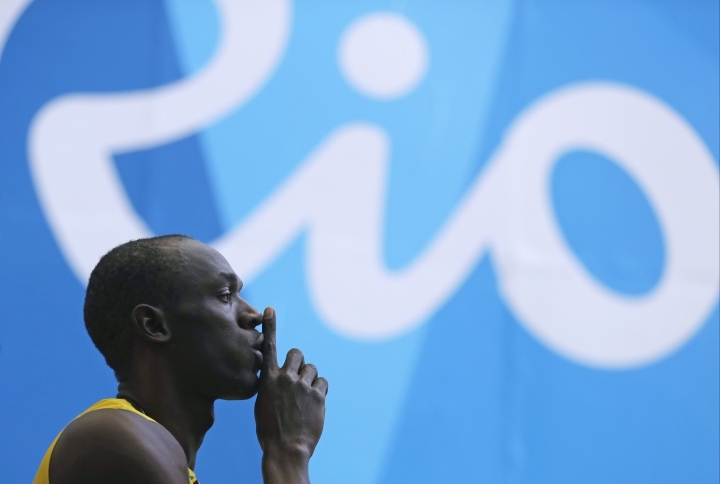 He saves his best for prime time, and the rest of the field left the stadium with a bit more than 24 hours to ponder what has not been possible: Beating Bolt at the Olympics. 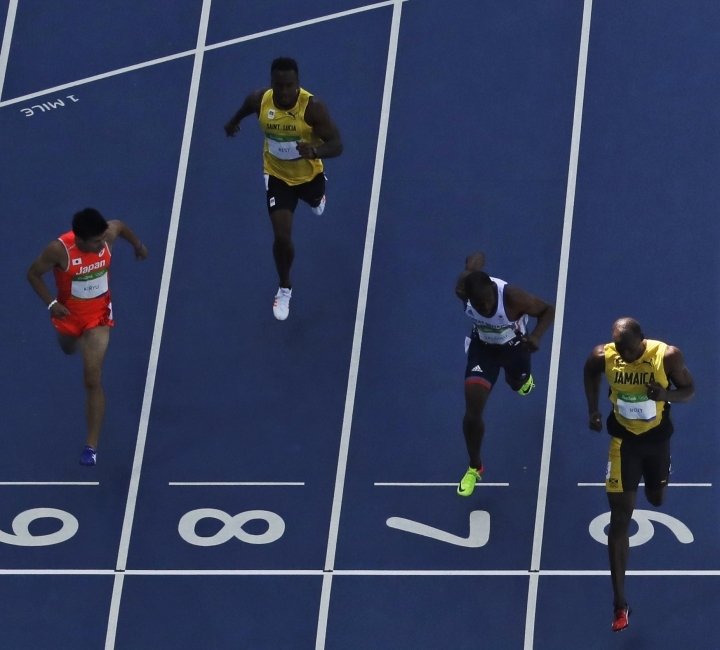 "Once he's in a tight position, he might tense up," said the veteran sprinter, Churandy Martina. "But you never know, because he always shows up at the right time and the right moment, which is these Games."